Are you the type that, when going to sleep, simply goes to sleep, or do you spend a little more time relaxing before? Do you go to your bedroom thinking “I can’t wait to read the end of that story!”, “God, I want to see what’s next in this episode!”? If so… what is there waiting for you on your bed? A plain memory foam pillow, a fluffy soft goose down pillow, a firm, yet moldable, buckwheat pillow? Are they any good when reading in bed? Now that you are thinking of it, it seems like you do end up with a stiff neck, or a pain in your shoulders after reading in bed… You thought it was your bed’s fault, but…it’s not! 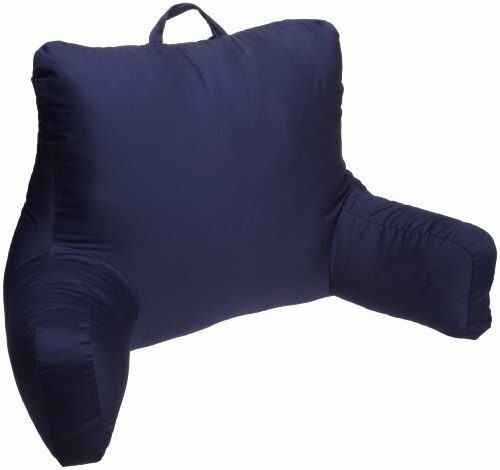 To buy or not to buy a pillow for reading in bed! Here’s our top 10. It’s your call, after that! Even though you are completely happy with your current pillow, you do feel it doesn’t help you with your reading in bed. That’s because that pillow was made for sleeping only, not for reading. Thank GOD that some manufacturers took in consideration your interest in books or watching TV. They’ve come a long way, and they’ve succeeded to come up with great products, with pillows that will make a huge difference to your neck and shoulders, after a good session of reading in bed. Well made and pretty colored, the Shagalicious Bedrest is a nice option to consider that manages to be both functional and nice looking, bringing a bit of color in any bedroom. 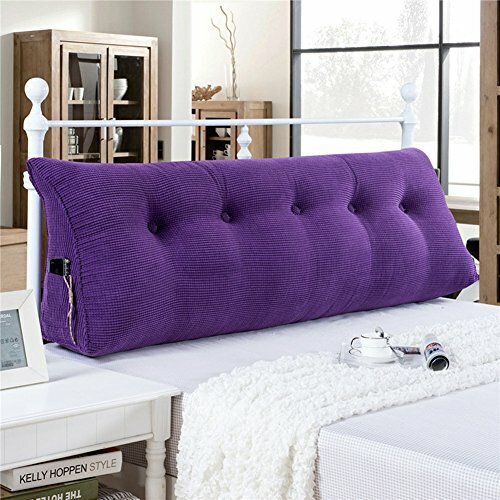 The pillow is firm enough to give a good support for your neck, back and arms, but soft for comfortable use. You may use it when reading, watching TV or simply having a time out in your cozy bed. Some even use the pillow when laying on the ground that’s how cozy the pillow is. We notice not only the versatility of the pillow, but also its portability. 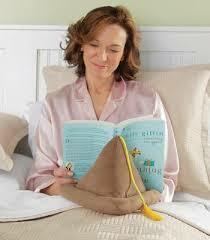 The pillow features a small handle on top so you may easily carry it around, wherever you need. You may also take it outside on a picnic, on a hot summer day. The pillow doesn’t shed and it’s pretty durable. It’s soft and cozy, looking very pretty. It has a very plush and a nice soft touch feel. It has a regular size and has enough filling to ensure good back support. Unlike many pillows, this one stays in place as it’s slip resistant. Don’t worry about the cleaning the pillow as you may easily spot cleaning it with a simple damp cloth when in need. The fun colors that you may choose from may seal the deal for many. Nevertheless, for the little money you pay, the pillow is a fun, reliable and portable pillow to get when reading in bed. 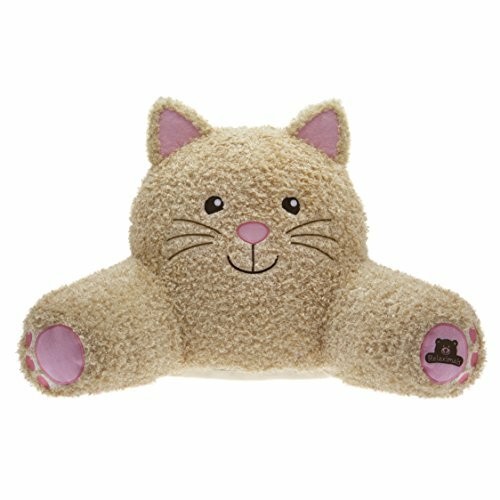 Get your kid a nice and fun reading pillow like the Relaximals Cat Kids Reading Pillow. 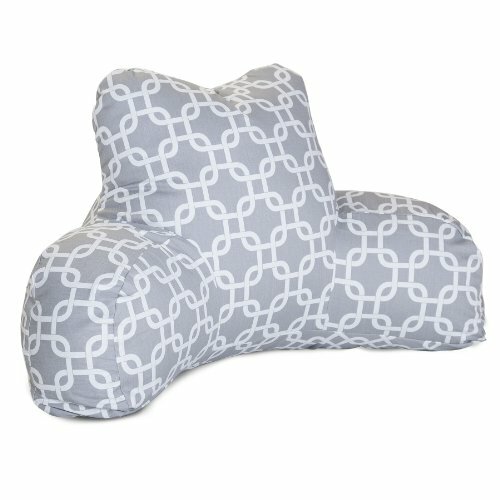 Not only is the pillow pretty and cat-shaped, but it’s also firm and supportive, creating a comfortable support for your kid when reading or watching TV. The pillow is soft and very well made, having a durable feel. It has also a nice touch soft feel and kids love it as it’s plushy, yet firm. It’s made with curly, nice chenille so it’s good for support and cozy feel as well. It’s a cuddly option for kids aged from 3 to 8. The portability of the pillow is good and its handle is sturdy for easier transport. As for the cleaning, you may put it in a pillowcase, wash it, and let it dry in the open air. Fun, supportive and soft, the pillow is a great solution when you want to encourage your kid to read more. Despite the minor cons, the pillow is a great funny option for any toddler who reads in bed. Especially designed for your back and head support, the Brentwood Originals Brushed Twill Bedrest gives you nice comfort when reading in bed or watching some favorite TV shows. The pillow is well made, firm, and supportive and holds its shape for quite some time. It has the right amount of filling to give good support when reading in bed or even using your laptop. It gives good support for your neck, back and arms all the time. The fabric on the pillow is grippy and repels cat hair pretty good. The pillow features a long lasting polyester brushed twill fabric cover and a polyester fiber fill for nice, comfortable support. The versatility of the pillow combines great with its portability as the pillow features a handle on top for easier lifting and moving. You may easily take it outside when enjoying some fresh air on a picnic. The armrests have a good design and size, increasing comfort. 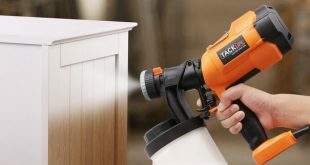 As for the cleaning, you don’t need to worry much and you may spot clean it with a plain damp cloth from time to time. The pillow is tall and wide and may serve you good when breastfeeding as well. It’s well made and long lasting and comes in pretty colors. It’s very popular and comes for a fair price. Nevertheless, the pillow is still a tall, wide, comfortable and easy to carry around pillow that serves you good in so many situations. Get some comfort in bed while reading with a good wedge pillow like the InteVision Foam Wedge Bed Pillow. The pillow brings a lot of good things on the table, which explain its popularity and efficiency as well. We’re beginning with the design, which is a two-layered type. The pillow is in fact made of 1” memory foam top layer and a firm base foam and this gives you good support and comfort at the same time. The pillow is a great option for various problems: snoring, acid reflux, curved spine and even allergies. You may also use it if you are struggling with poor circulation, back/neck problems or foot/leg elevation. But it’s not only for the various problems that you may use the pillow. 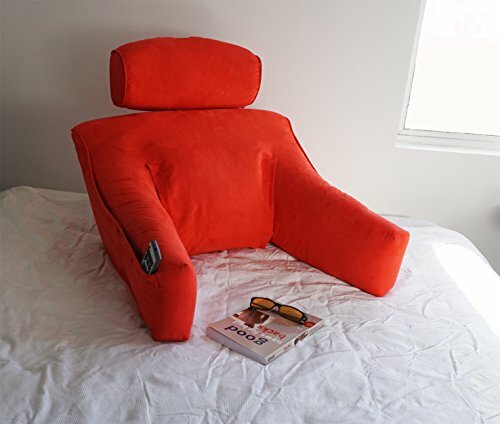 Its design recommends it when you want to read in bed or watch some TV shows as well. The pillow is also pretty breathable and that’s because of the built-in channels between the top memory foam layer and the base foam. Be prepared to enjoy the big size of the pillow, for quite some time. The pillow is durable and comes with a machine-washable, white cover. You may also purchase separately a 100% Egyptian cotton pillowcase (400 thread count) for more comfortable feel. The pillow gets to you in a vacuum sealed package and you need to give it a bit of time to come back entirely to its full shape. All in all, for its efficiency on many sleep-related problems and support for reading in bed, the wedge pillow is a sure option to consider anytime. 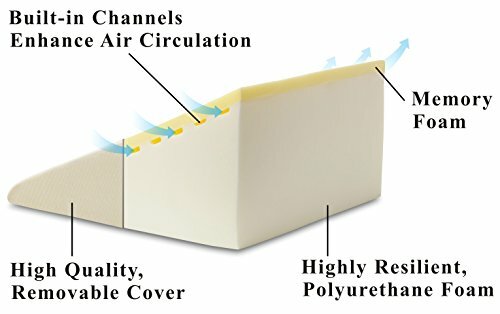 If you don’t want to get a wedge pillow to use when reading in bed, you can get a pillow especially designed for that like the LINENSPA Shredded Foam Reading Pillow. The popularity of the pillow is quite impressive and going over the details helps, you get a good understanding of that. 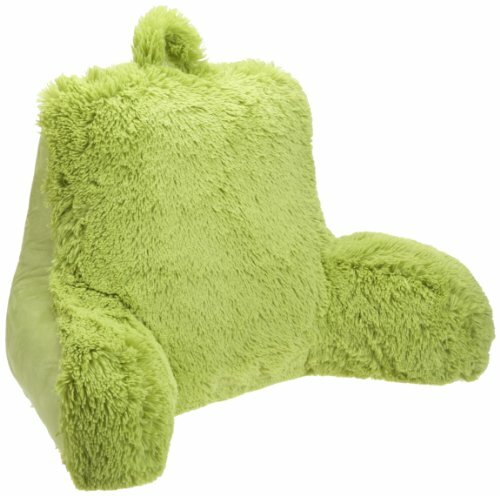 The pillow ensures amazing back and head support when reading/watching TV and it’s filled with foam shreds. 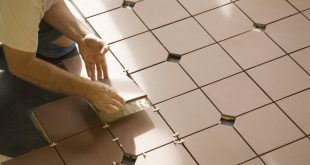 The filling is shapeable and you may molded exactly how you want. The pillow may need a couple of days to get into its full shape, but it’s worth the wait. The pillow compresses well and gets back to its shape over and over again. The foam shreds aren’t just supportive, but also breathable so the pillow doesn’t get hot easily. The cover is made from plush and long lasting velour that has a nice soft touch feel to it. It comes in a nice, neutral stone color so it’s quite subtle in any bedroom. We also have to mention the good arm construction that is both comfortable and plump. The top carry handle increases the portability of the pillow that you may easily move around when in need. The pillow doesn’t slide around, stays in place and is freestanding. The seams are double-stitched, making the pillow more durable. We like the pillow as it’s big and efficient, without having a bulky feel. It has just the right weight and serves you good for quite some time. All things considered, for its support, durability and versatility, the pillow does stand out as one of the most reliable options out there. Comfortable and bouncy, the Z Foam Filled Reading Pillow is a reliable option to try when in need. The pillow brings on the table good features and comes with some drawbacks to consider. The design of the pillow is well thought out and its back and sides are filled with shredded memory foam blend, creating a nice, soft support when reading a book in bed. 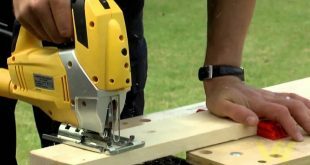 The fill is 100% polyurethane foam and the pillow may need around 24 hours until it comes to its full shape. The pillow doesn’t lose its shape in time though and it’s quite bouncy, coming back to its shape for quite some time. It’s easy for you to mold it just the way you need it as well. The arms of the pillow have also a good built and just the right level, increasing comfort. The cover of the pillow is made with cozy rayon from bamboo blend and has a nice, silky touch feel. The cover is also breathable and dissipates efficiently your body heat. It’s made of 75% polyester and 25% rayon from bamboo, which explains the good air circulation and nice touch feel. The pillow is thick, plump, and supportive. The handle on top helps you move it around easy and the pillow isn’t heavy weight either. As for the cleaning, you may spot clean it from time to time with some mild detergent. Our takeaways are that the pillow is a sure buy anytime and doesn’t present major issues to make you regret getting it. The Vercart Sofa Bed Large Filled Triangular Wedge Cushion Bed isn’t just a reading pillow for you, but a backrest positioning support pillow as well. Its design makes it several things and the pillow works as an office lumbar pad, managing to be efficient on all levels. The wedge cushion bed manages to offer nice support to your back, but also a firm surface to lean against when reading in bed. The pillow is filled with high-quality PP cotton so it’s quite bouncy and gets back to its original shape for a long time. The design of the pillow is great and the pillow has the right curve to fit your waist, relieving your lumbar pressure. The pillow is soft enough to take in some of the pressure of your body, for more comfort. The pillow is soft and fluffy and includes pockets on the sides, which is always great to have. The cover feels nice against the skin; it’s zippered, and removable for cleaning. It comes in various strong colors and looks good for a long time. It’s breathable and doesn’t get hot easily. The minor issues aren’t deal breakers for us and we like the pillow as it serves you good on so many levels. Bring some cheerful patterns in your bedroom with the Majestic Home Goods Links Reading Pillow. Even though the pillow does stand out with its fun patterns, it’s sure a lot more than meets the eye. The pillow is soft, yet manages to bring good support for your back, neck, and head when reading in bed. It’s well filled with Super Loft recycled polyester fiber fill and holds its shape for a good amount of time. It doesn’t need much time to get in shape after unpacking and comes back to its shape over and over again. You may easily mold the pillow according to your needs, for best comfort. 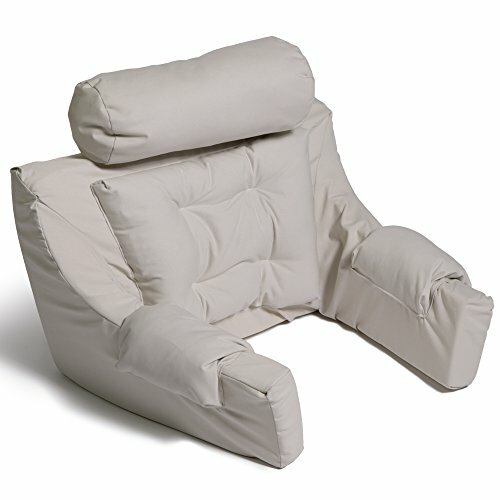 As for the cover, the pillow features a zippered slipcover that is woven from Outdoor treated polyester and presents U.V. 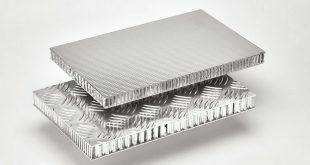 protection (up to 1000 hours). The zipper on the slipcover makes it easy to remove for machine cleaning. 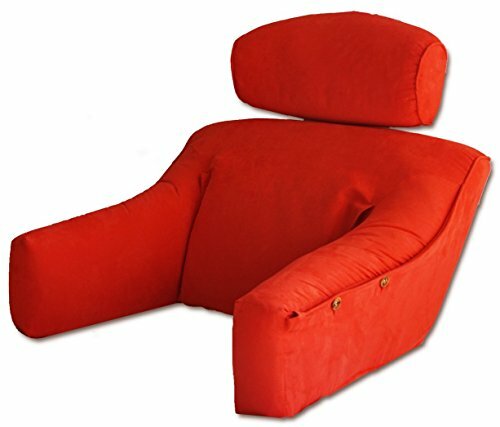 The armrests have a good design and take away some pressure from your shoulders and the weight of your arms as well. The pillow comes in nice, pastel colored combinations and is a good option even when recovering after a surgery. 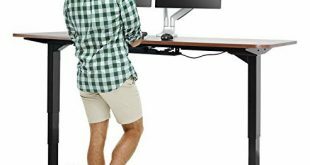 It’s lightweight and easy to move around. It’s made in our USA and this may seal the deal for many. We’d rather take the best from it and this gives us a pillow that is comfortable, supportive, fun looking and made here at home in our USA- and that does it for us. The ergonomic design of the Hermell Products Deluxe Lounger is a good option to consider when you like reading in bed and you need more than a simple pillow for best comfort. The lounge cushion has an ergonomic design and it’s comfortable and supportive. 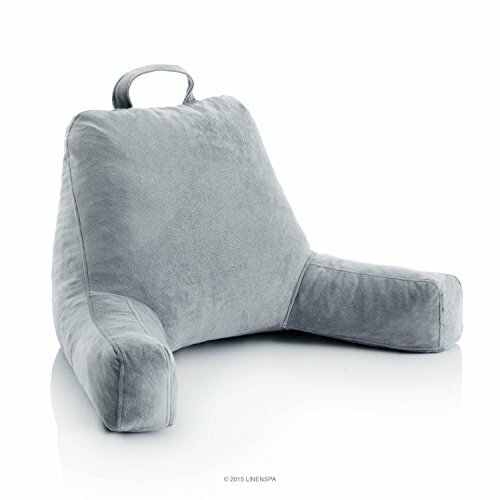 The design is well thought-out and the lounge cushion comes with a neck support that is height-adjustable. 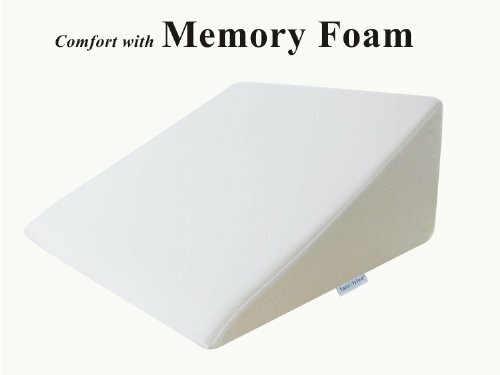 The engineered foam frame gives good, sturdy support, whereas the nicely padded back pillow soothes any back pains. The armrests take away the weight of your arms and lower pressure in your shoulders. The armrests are well padded for more comfort. The cover is made with long lasting twill and repels efficiently moisture. It’s made with 80% cotton and 20% polyester. It has a nice soft feel and comes in nice, soft colors. The lounge cushion is made in our USA and it’s an option to have in mind. Despite the minor cons, the lounge cushion is a fair option for reading in bed or watching some TV. The more you pay, the more you get and the Vibrant Red MicroSuede Bedlounge Reading Pillow perfectly fits the description. The pillow is made in our USA and features a patented, long lasting inner frame, which creates a great support for you when reading in bed. 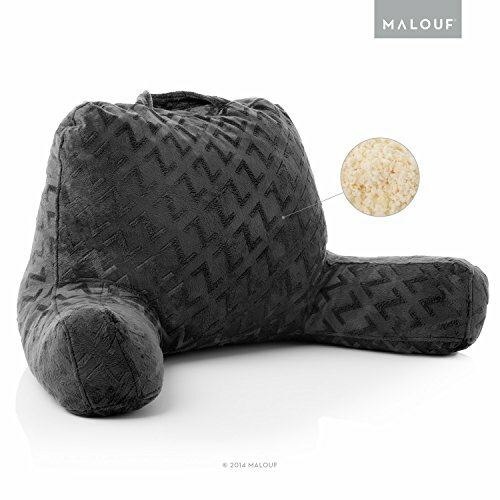 The build of the pillow is great as it includes several layers of foam, down and fiber for nicer and softer support. The internal Active Frame is tough, yet lightweight so it’s easy for you to carry around the pillow. The design is quite ergonomic so the pillow adjusts instantly to your movements, distributing evenly your weight. We also an easy slide of the headrest up and down and a cozy down lumber pillow that moves for had had had better back support. The armrests also pivot for a snug/looser fit. They minimize strain on your head, neck and upper body, giving support to your arms and shoulders. The pillow has good padding and is very comfortable. The pockets on the sides are functional and so helpful. Despite the sophisticated design, the pillow is compact and easy to store. The handle on top makes it highly portable and the pillow is lightweight. The cover of the pillow is made with soft Fleece, 100% cotton or luxurious Microsuede. The pillow comes in many colors and various cover fabrics. No matter your choice, the cover is removable and easy to wash in your machine. No matter the cons though, the pillow brings way to many good things on the table and we stick to our recommendation against the minor flaws.